Play games in the Game Room - In addition to being fun and addictive, you can earn Feathers by playing games. You can even earn Trophies if you're really good! Are you up for the challenge? Tip: Be sure to submit your scores to receive your Feathers. Fish in the Star Pond and you can catch items for free. There have been tales that super-rare items have been known to be caught there from time to time. Good luck! Tip: You may not get an item every time you cast your line. If the stars aren't biting, try again later. Adopt and care for Pets! Windlyn is home to many adorable and unique virtual pets, that just like in real life, require care and feeding for them to grow up big, strong and healthy. And you can share them with other Winners and/or show them off with your avatar and be a proud Pet owner! Tip: Check out the Windlyn Pet Guide - Pets: A guide. Dress up your avatar - Windlyn has has super-cute avatars! You can personalize yours and even enter fashion contests when they're being held. I can't wait to see what wonderful combinations you come up with! Go on a shopping spree! You can purchase items for yourself or your Pet in Windyln shops. Keep in mind that The Lazarus only has items for a limited time, so you may want to shop those items first. Also, Diamond's Emporium carries items for the more discerning shopper (note that Diamond only accepts Wing currency for purchases). Item guides for past and current event items are typically found in the Fashion Show forum. Tip: Scroll through the shop selector and you might find hidden shops like The Secret Garden. Embark on a Quest! Quest prizes can only be acquired by completing a quest (unless of course you can find a generous friend to trade with!). However highly rare and sought-after Aurora and Eventide Wings are rumored to be awarded to the most diligent questers. Tip: Aurora and Eventide will not give you a new Quest for 12 hours if you cancel the current one. Trade items with other Winners - Whether you're clearing out some extras or helping out a newbie or old friend that missed event items, trading is a great way to round out your collection! Gift items - Winners love to give! Open a charity in the Newbie Assistance Forum or just gift your new or good friend a special item! Tip: Visit the Welcome Wagon Forum to meet new Winners and visit the Questing & Collecting Forum to see if you can help out. Participating in Events is perhaps one of the most fun things to do on Windlyn. There's always something fun happening on Windlyn or about to happen, so be sure to keep checking in! Post in the Forums where you can discuss the latest and greatest, meet new friends from around the world, visit various user-run shops, roleplay, and even share or vent about real life. Subcribe to your favorite threads so you'll be sure not to miss a thing! Tip: Use the Unread Posts feature to catch active threads since your last visit. Feel free to jump right in to any thread. Everyone is super-friendly! Create and join Guilds to share the same interests with like-minded people! These semi-private areas are almost like having private forums that you can control. Customize your Guild layout Decorate your guild and provide useful information for your fellow guildies! To use a Guild Layout, copy and paste the code into the welcome message of your guild. Earn Badges! Merit Badges are awarded to outstanding Winners of the Windlyn community. 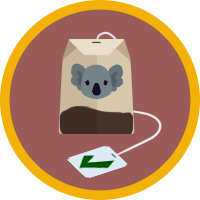 You can earn badges by helping improve Windlyn and by participating in big events. Customize your Profile layout! To use a Profile Layout, copy and paste the code into the About Me section of your user control panel. You are welcome to use the layouts you find there as-is, or use them as examples to create your own! We ask that you help keep Windlyn safe and navigable by not including scripts, iframes, or any other malicious or inappropriate element, and not covering/hiding Windlyn's menubar, footer, or sidebar. Send a PM (Private Message) to other Winners! PM's are Windlyn's private messaging system. Support Windlyn by Buying Wings and Windlyn-themed Merchandise. Wings are a special currency in Windlyn used to buy items from Diamond's Emporium. Some items are only cosmetic, and others make your gaming experience easier. Buying Wings and Windlyn Merchandise are a great way to show your appreciation for all of the work that goes into Windlyn. We all appreciate your support! These are just a few ways to enjoy Windlyn. Remember the most important thing is to have fun!